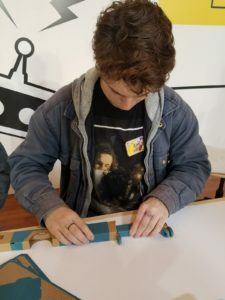 Nintendo Labo: Building Your Own Wow! We usually review four or five products each week, but the new Nintendo Labo is so engaging and entertaining that it deserves its very own column. Before we start, there are three important things you need to know about Labo. You’ll need a Switch. Nintendo’s newest gaming console. 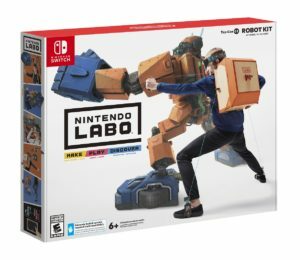 Labo won’t function without it. If you don’t have one, it’s well worth the investment. You’ll need time. Labo divides the experience into three components: Make, Play, and Discover. Depending on what you’re making, the Make phase can easily take over an hour. But you and your child(ren) will have a blast—and an even bigger blast when you finally get to the Play and Discover stages. Tweens and teens will love it. We brought two grumbling teenagers to a pre-launch event in San Francisco and they practically refused to leave. 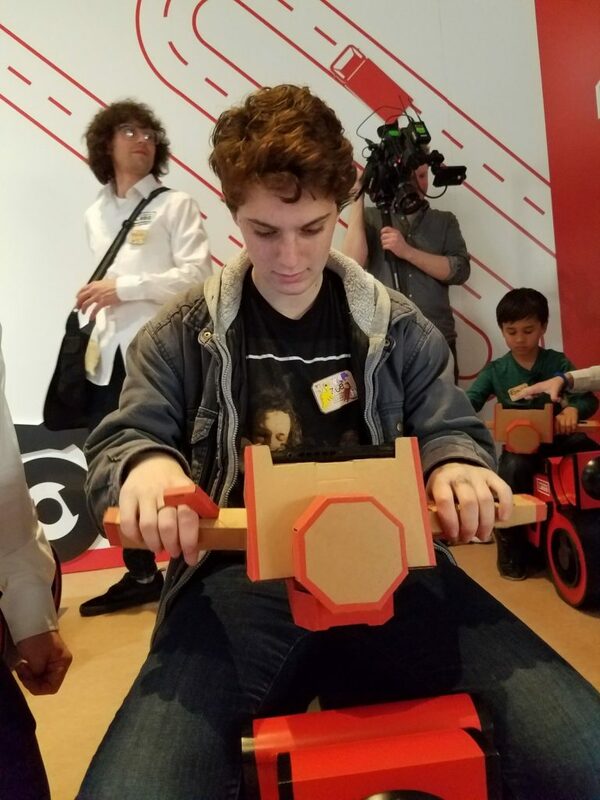 And when a gaggle of teens took over our living room to have a Labo construction (and play) party, we knew something truly special was happening. This kit comes with everything you’ll need to build five complete projects (called Toy-Cons). Each one starts as a series of sheets of cardboard. Pop out the pieces, fold them (video instructions are available—and extremely helpful), connect them to each other, and decorate to your heart’s content. Then you attach the Switch Joy-Con controllers and the magic happens. With the fishing rod, you build a “working” rod and reel. Next, you fire up your Switch console and start fishing, for anything from minnows to sharks. You can even design your own fish. The motorbike lets you rev the throttle and lean to turn. And you’ll almost feel the wind in your hair as you weave through standard tracks or ones you design yourself. The piano may look simple, but you don’t have to be a musician to start composing and recording your very own music, including sound effects. The remote-controlled car is powered by vibrations from the Switch controllers. Use the Labo app to steer, or battle and race a friend (you’ll need another set of Switch controllers for this). The house includes different rooms, components, mini-games, and even a resident creature. 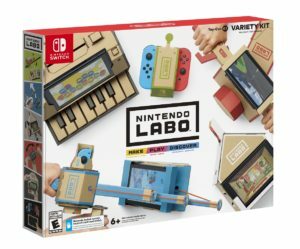 Includes tape, stencils, and a variety of stickers that you can use to customize and decorate your Labo creations. But you can just as easily use anything you have around the house or that you can buy at your local arts-and-crafts store (like glue, paint, and googly eyes—who doesn’t love googly eyes?). $9.99. This is the Discover phase, a place where you can get under Labo’s hood and start tinkering with code. In the garage, you’ll be able to reprogram your already-built Toy-Cons or create completely new ones (like turning that piano and a handful of rubber bands into a guitar), learn if-then programming, and much more. 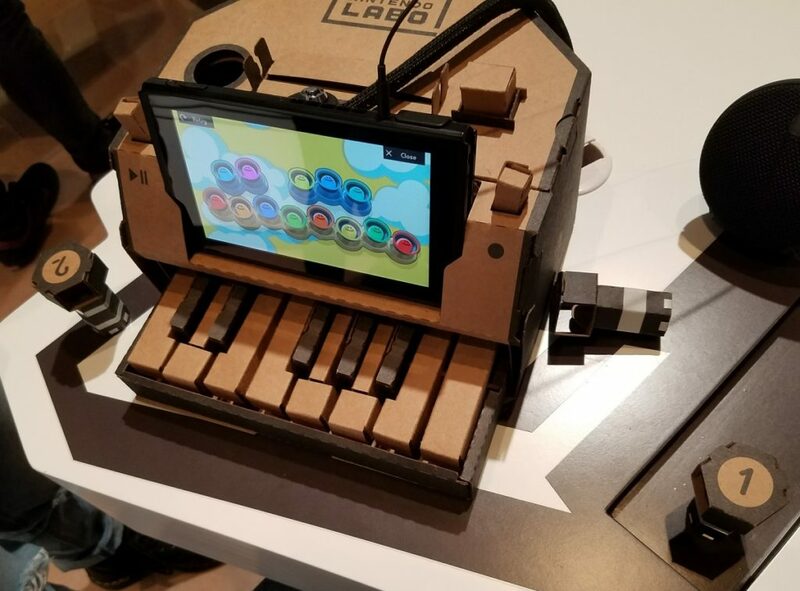 Toy-Con Garage is already included with your Labo! 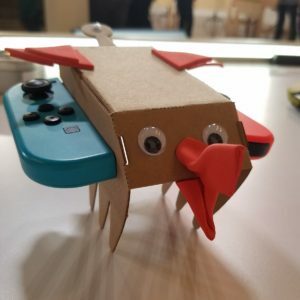 This entry was posted in Reviews and tagged joy-con, labo, nintendo, toy-con on April 27, 2018 by Parents@Play Team.